Spring is here and so are ramps! Have you tried ramps yet? 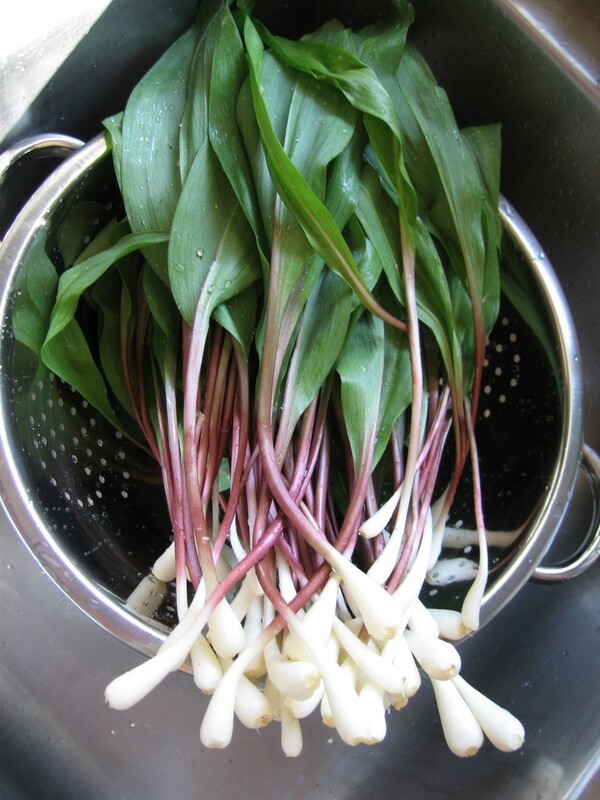 Ramps are a lot like green garlic, have a short season, and are usually foraged rather than grown on a farm. They are delicious with pasta, on pizzas or in egg dishes: omelets, quiche and frittatas. They can be eaten raw, but are best sautéed, roasted, grilled, pickled or made into pesto like our recipe from BFM Market Chef, Chef John, below. Because of their uniqueness and short season, ramps can rarely be found in your typically grocery store, but we have them at Brookhaven Farmers Market! BFM Farmer, Abundant Harvest Gardens, has ramps now so get them before they’re gone. Heat 1 tablespoon olive oil in large nonstick skillet over medium heat. Add ramps and sauté just until soft but not browned, about 5 minutes. Add sautéed ramps to a food processor along with cheese, nuts, and basil; process until finely chopped. From the top, with machine running, gradually add 1/2 cup oil and puree until almost smooth. Transfer pesto to bowl. Season to taste with salt and pepper. Cook pasta according to package directions and til pasta is al dente. Drain pasta, reserving 3/4 cup pasta cooking liquid. Return pasta to pot; add pesto and toss to coat, adding enough pasta cooking liquid, one tablespoon at a time, to moisten. Season with salt and pepper. Divide pasta among plates, add a sprinkling of fresh grated cheese and enjoy!